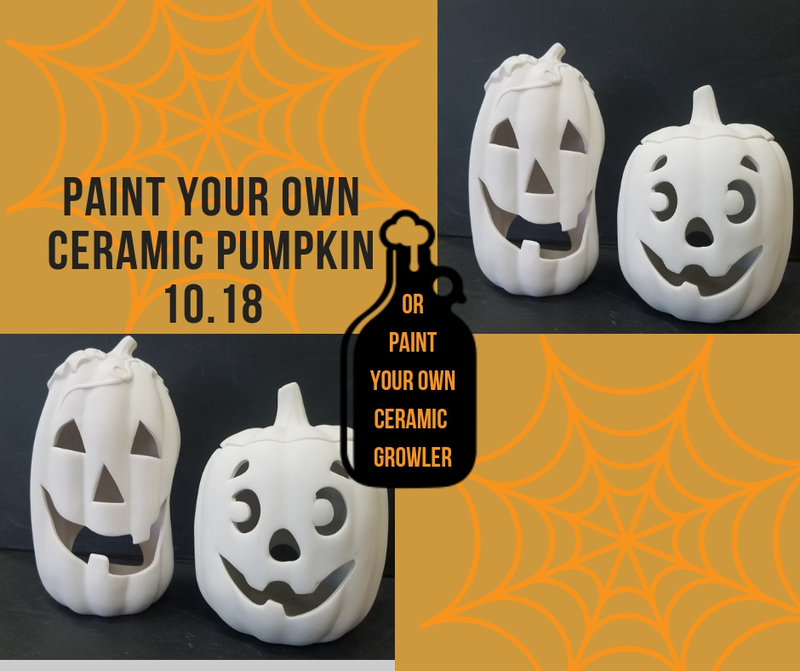 Contest : Paint Your Own Ceramic Pumpkin — 1859 Cider Co. This month's Ceramics Paint Night is a seasonal contest! Teaming up with our friends at Create a Memory Pottery Studio, we are hosting a Paint Your Own Ceramic Pumpkin Night. Come glaze a ceramic pumpkin with your best design and Create a Memory will fire your creation in their kiln! Your pumpkin will then be put on display in the 1859 Cider Co taproom (with all the others) for people to vote on until the end of Halloween party on October 27th. Winners will be announced on Sunday the 28th. The pumpkins with the top 3 votes will receive prizes! Click HERE to register. Registration and is $30 which includes instruction, ceramic pumpkin, glazes, and firing. Don't you just love healthy competition?! The ceramic growler will be available to glaze but will not be part of the contest. $45 for this option and please specify at check out.